Four men, two women and a 17-year-old boy have been charged in the shooting death of a 22-year-old man in Manassas, Virginia, last month. Edwin Ivan Chicas died after he was shot multiple times the night of Oct. 29 on the 7500 block of Quail Run Lane. On Wednesday, Prince William County police searched five homes in Manassas and Manassas Park and arrested seven people ranging in age from 18 to 29 who they say participated in a gang murder. Police are still searching for two men: Kevin Vigil Cruz, 22, of Manassas Park, and Carlos Antoni Cisneros-Espinal, 21, of Manassas. Police did not have a photo of Cruz. Police believe both men were accessories to the murder. “The fact that they are associates of MS-13, a gang, a very violent criminal gang, makes us want to get them into custody even more," police spokesman Sgt. Jonathan Perok said. Marlon Edenilson Argueta Flores, 23, of Manassas, was charged with murder and use of a firearm in commission of a felony. Gerson Aldair Sorto Ramirez, 18, of Manassas, was charged with murder. Omar Javier Villegas-Ayala, 19, of Manassas Park, was charged with conspiracy to commit a felony. 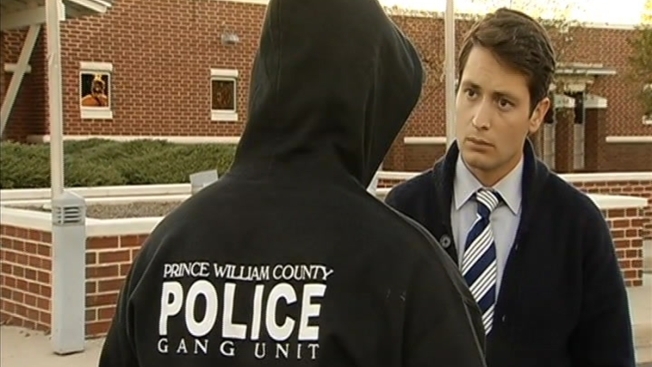 Kevin Portillo Quintanilla, 19, of Manassas, was charged with conspiracy to commit a felony. Ana Luisa Hernandez-Ramirez, 29, of Manassas Park, was charged with accessory after the fact. Tania Manilo Henriquez-Carronza, 24, of Manassas Park, was charged with accessory after the fact. A 17-year-old boy from Manassas, who police did not name, was charged with conspiracy to commit a felony. After Chicas was killed, one of his sisters wept as she spoke about what he was like. "He was a very good brother, and he was a very good uncle, and he was a very loving person and he didn't deserve this at all," she said. Chicas's mother previously said she feared for her son because he spent time with gang members. 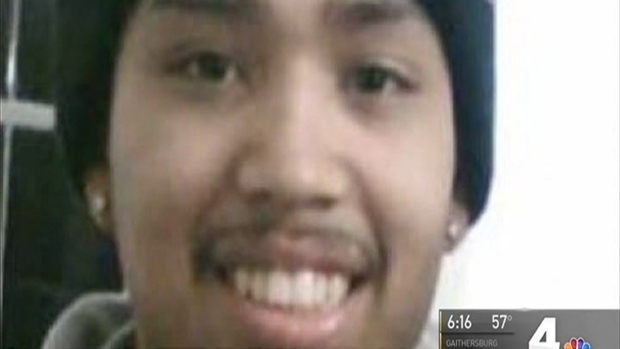 Northern Virginia bureau chief Julie Carey reports on the murder of a 22-year-old Manassas man. A neighbor described hearing the shots and running to help. Chicas's death is the third gang-related murder in Prince William County this year, police said. A detective on the police department's gang unit, who asked that his identity be concealed, warned that gang recruitment is beginning with young children. He said he has seen an upswing in gang activity in the past two years. Carlos Castro, the owner of Todos Super Market, said he wants police to reach out to children as young as middle school-age to deter their involvement with gangs. "I'm hoping our authorities do whatever it takes to eradicate any flare of that kind of violence in our communities," he said. Police said they are investing resources in their gang unit and narcotics unit. The county has a record-high number of homicides, with 20 people killed this year. Five of the 20 cases were drug-related, police said. No arrests have been made in three of the 20 cases. Only one of the killings was characterized as random. Anyone with information on the case is asked to call police at 1-866-411-TIPS, send a text message that includes PWC to 274637 or submit a tip online by visiting the Crime Solvers Facebook page. A reward of as much as $1,000 is offered.